This basil mojito tastes uses fresh ingredients to taste like summer. Basil mojito is a new drink that I had never even heard of till a nice lady named Susan told me about it at a neighborhood party I attended two years ago. She immediately sent me the recipe, and it has been sitting in my inbox all of that time. 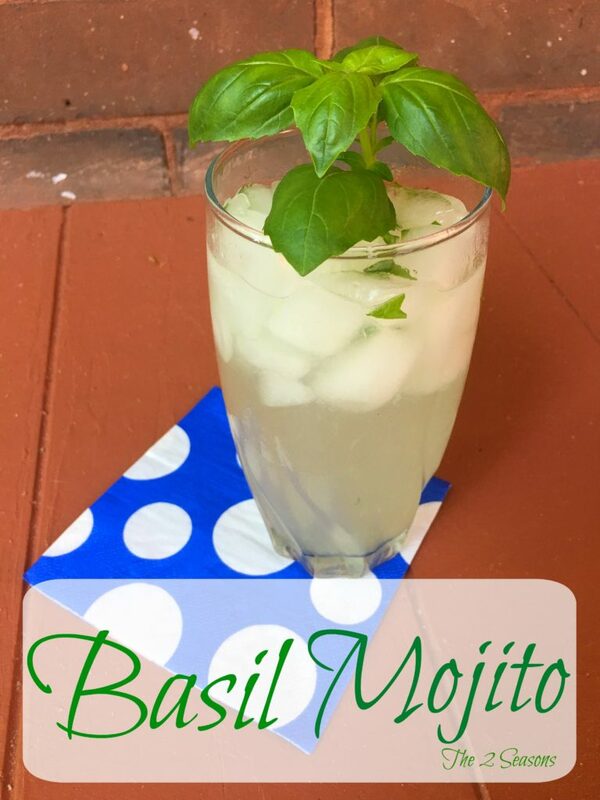 Well, I finally got around to making it this week, and all I have to say is crank up your ice maker and snip some basil because you are going to want to make this refreshing summertime drink. Basil is my favorite herb to use in the kitchen because it tastes like summer, and this cocktail has summertime fun time written all over it. My taste buds are still thanking me. Now if you are thinking, “Hey, Janette, I don’t have an herb garden,” that’s okay. Because right now, I don’t have one either. It’s called spending the summer in an apartment, so I just bought a basil plant at my grocery and have it sitting on the window sill over the sink. Now and then I pick it up and give it a little sniff. Ahhh……..summer. Mike and I enjoyed our basil mojito on our side porch (it would make an excellent sleeping porch, by the way), and talked about the day when we can finally move into our new place. Stir well till sugar is dissolved and pour it into the glasses. Top of with seltzer water. 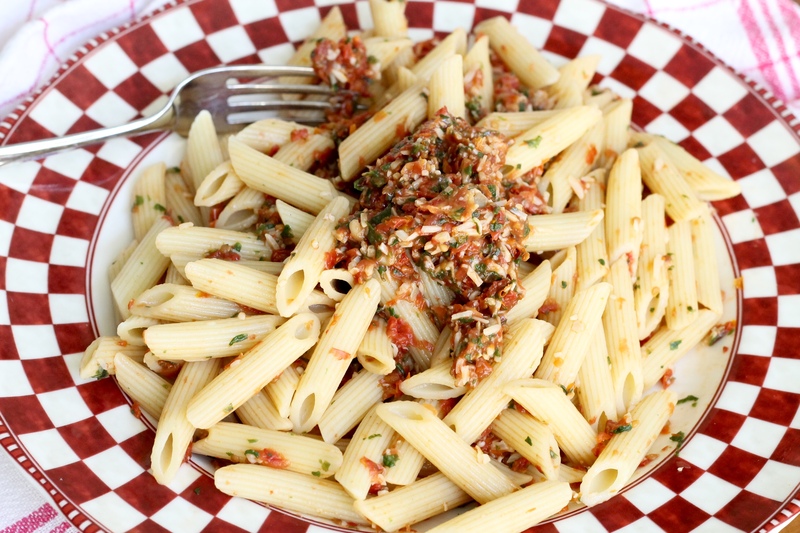 Garnish with a basil leaf (optional). I am sure that you can make a pitcher of these drinks by just adjusting the ingredients proportionally. When it’s time to enjoy them, just pour the brew into your glasses, add ice, and there you are. A nice monogrammed tumbler like this one would be a great vessel to use with this basil mojito, but mine are in storage. 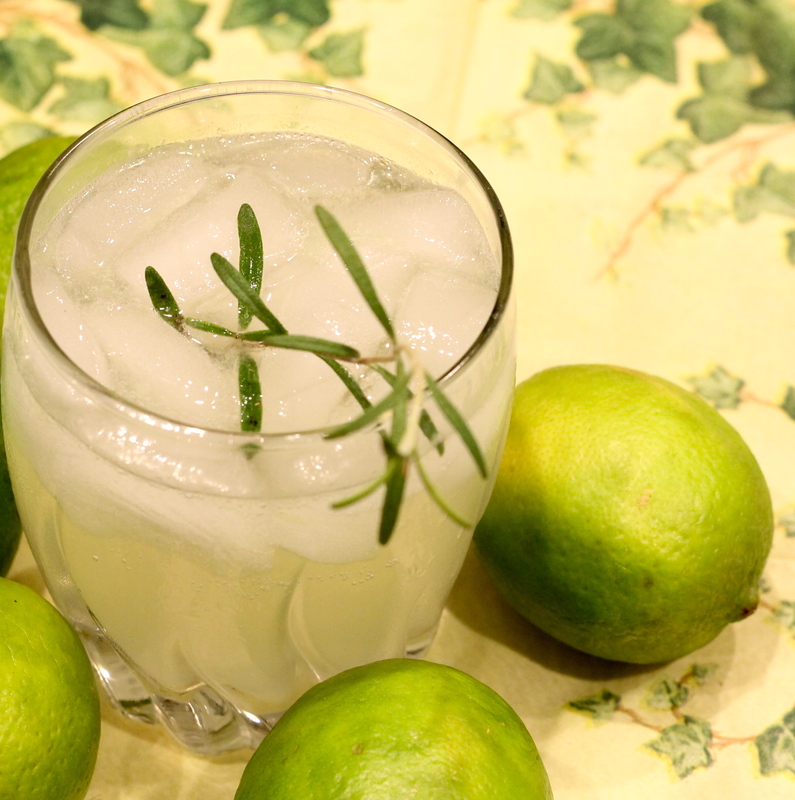 Let us know how you liked this summertime beverage. Cheers to a good weekend! We will see you here tomorrow for our Saturday Selections, and remember that we appreciate each and every one of you. I will try this tonight. Sounds Delish.